SWITZERLAND, Zurich — Based on breaking news and events, it appears that CIA Headquarters beneath Lake Geneva is plotting a domestic and/or jihad-related attack on the new Star Wars film entitled “The Force Awakens” which has now opened in theaters worldwide. Exactly what type of terror is planned for theaters screening “The Force Awakens” is not known, but beheadings, mass shootings, mass stabbings, and/or suicide bombings are the most likely terror scenarios. That being said, theaters could also suffer a 9/11-style attack or a conventional bombing. The CIA could also stage a so-called “accident” or “natural disaster” during the “The Force Awakens” movie (e.g., fire, gas explosion, melee, stampede, vehicular manslaughter attack, etc.) which would also kill and terrorize scores of movie patrons. Back on October 21, 2015, CNN published a report entitled “Internet Trolls Call New ‘Star Wars’ Movie ‘Anti-White’”, ultimately foreshadowing the notion of a race-related attack on the new Star Wars film just prior to its fruition in reality. Less than a week later on October 27, 2015, the Daily Mail of London published a report entitled “The Jihadi Jedis: ISIS Cell Arrested in Turkey Kept a Stash of Darth Vader Masks, ultimately linking Star Wars to ISIS just prior to an Islamic jihad attack on the film. Three days later on October 30, 2015, it was reported that theaters are implementing a ban on all costumes for the new ‘Star Wars’ film. The ban is evidently being instituted in order to prevent jihadis from concealing terrorist-related paraphernalia such as suicide bomber belts. In order to associate the new Star Wars movie with death just prior to a state-sponsored terror attack on the iconic film, it was reported on November 3, 2015, that a terminally ill Star Wars fan asked to see “The Force Awakens” early”. Interestingly, less than 3-days later on November 6, 2015, the terminally ill ‘Star Wars’ fan got his wish to see “The Force Awakens” early. Predictably, 4-days later on November 10, 2015, terminally ill Daniel Fleetwood was killed at the age of 32, an apparent Roman-like blood sacrifice to a successful attack on the new Star Wars movie. A few weeks later on November 24, 2015, it was reported that a suspect was arrested after wearing a Darth Vader mask in an attempted robbery. Needless to say, the incident was likely staged or fabricated by the CIA in order to associate Star Wars with crime just prior to a state-sponsored attack on the film. A day later on November 25, 2015, it was reported that a Fox News contributor received death threats for allegedly mocking Star Wars fans. Again, the timely report was likely fabricated by the CIA in order to associate Star Wars with death just prior to a state-sponsored attack on the iconic film. In order to raise the specter of a Star Wars-related terror attack just prior to its fruition in reality, the Telegraph published a propaganda report on December 14, 2015, entitled “Star Wars: George Lucas Warns Fans Not to Spark Terror Alerts with their Lightsabers“. In what appears to be more pre-Star Wars terror programming, Deadline Hollywood published a report on December 17, 2015, entitled “‘Star Wars’ Theaters Tighten Security Due To Heavy Crowds And Suspicious Activity“, further conifrming that Star Wars is under the threat of state-sponsored terror. Lastly, in what appears to be pre-Star Wars gub-related massacre terror programming, most likley via the barrel of an AR-15 assault rifle, Fox News published a report on December 23, 2015, entitled “Montana Man Arrested for Threatening to Shoot Boy Over ‘Star Wars’ Revelation“. 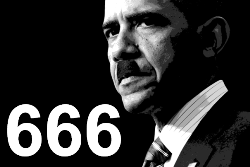 Based on breaking news and events, it appears that the Obama administration (at the behest of CIA Headquarters beneath Lake Geneva) is planning to execute a domestic and/or Islamic-related attack on movie theaters. In order to associate Islamic terrorism with movie theaters just prior to another state-sponsored terror attack on a theater, it was reported back on July 13, 2015, that Sylvester Stallone will fight ISIS in Syria and Iraq in his final movie entitled “Last Blood”. Three days later on July 16, 2015, James Holmes was found guilty of murder in the Batman Theater Massacre, a nakedly apparent false-flag attack (see below). Consequently, a new and far more deadly theater-related terror attack is likely now in play. In what appears to be a preview of theater-related terror to come, it was reported a week later on July 23, 2015, that a gunman opened fire in a Louisiana theater, killing 3 and injuring 7. The attack has all the earmarks of a state-sponsored assassination rather than a random act of violence. Roughly 2-weeks later on August 5, 2015, a so-called suspect was killed by police in a Tennessee movie theater. How and why police were inside the theater to stop the alleged gunmen only makes sense when it’s understood that the attack was likely the execution of a patsy by local police. Two days later on August 7, 2015, Batman Theater Massacre patsy James Holmes was sentenced to life in prison without the possibility of parole. Holmes’ timely conviction was designed to raise the specter of theater-related terror just prior to another state-sponsored attack. Three days later on August 10, 2015, it was reported that 3 people were hurt in a leaf-blower prank at a California movie theater. The CIA-spawned publicity stunt was evidently designed to foreshadow a machine-related attack on theaters just prior to a machine-gun attack on “Black Mass”. Roughly a month later on September 2, 2015, a man was allegedly wounded in acid attack during a screening of the film “Straight out of Compton”. Needless to say, the attack has set the precedent for a bio-chemical attack on a theater. In order to rehash the Batman Massacre just prior to redux attack transpiring in reality, TMZ published a report on September 10, 2015, entitled “Colorado Theater Shooting: Chilling Crime Scene Photos”, foreshadowing impending theater-related terror. Roughly 6-weeks later on October 21, 2015, CNN published a report entitled “Internet Trolls Call New ‘Star Wars’ Movie ‘Anti-White’”, ultimately foreshadowing the notion of a race war attack at a U.S. theater just prior to its fruition in reality. Lastly, on October 23, 2015, it was reported that alleged Batman Massacre shooter James Holmes was assaulted in prison. The CIA-spawned publicity stunt was likely fabricated or staged in order to rehash the Batman Massacre just prior to a redux attack. The Batman Massacre was the largest civilian massacre in American history. A quick look back at the facts and events surrounding the shooting suggests that the attack was planned and executed by intelligence agencies rather than the patsy James Eagan Holmes. On May 17, 2012, roughly two month prior to the massacre, the FBI and DHS released a memo entitled “Terrorists’ Interest In Attacking Theaters And Similar Mass Gatherings”. 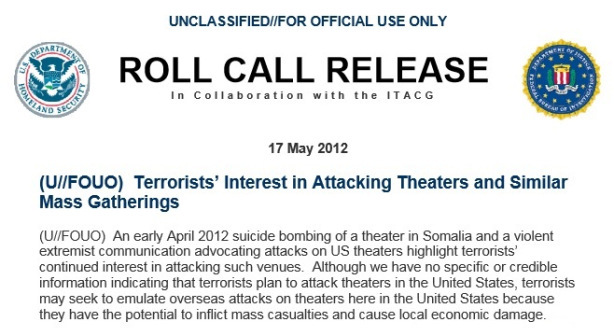 In the timely memo, the FBI and DHS stated that due to an April 2012 Al Shabaab suicide bombing of a theater in Somalia, “terrorists may seek to emulate overseas attacks on theaters here in the United States because they have the potential to inflict mass casualties and cause local economic damage.” On the same day as the Batman Massacre, Rocky Vista University College of Osteopathic Medicine in Parker, Colorado, held specialized classes in disaster life support to train the students how to respond if a shooter fires at people in a movie theater. Additional red flags surrounding Holmes and the shooting are too numerous to list but are all documented in a reputable film entitled, “The James Holmes Conspiracy”. In the immediate aftermath the Batman Massacre, there were at least 4 highly publicized “Batman”-related incidents which were ordered and/or executed by intelligence agencies in order to terrorize Americans by invoking the memory of the horrific Batman Massacre. The incidents include but are not limited to a serial thief who targeted patrons watching the “The Dark Knight Rises”; a 13-year-old student dressed as the Batman villain Two-Face who allegedly shot himself dead with a gun at an Oklahoma junior high school; a man in a Batman costume who is now facing a felony charge after he allegedly interfered with a police investigation; a bomb scare occurred when approximately 2 hours into the screening in San Diego, California (see below); and Madonna who started her concert at the Pepsi Center in Denver, Colorado, with a scene in which she pretended to spray the crowd with bullets from a machine gun. Needless to say, in the wake of another theater attack, America can expect more of the same state-sponsored terror behavior. Lastly, in order to raise the specter of a Star Wars-related terror attack just prior to its fruition in reality, the Telegraph published a propaganda report on December 14, 2015, entitled “Star Wars: George Lucas Warns Fans Not to Spark Terror Alerts with their Lightsabers“. SWITZERLAND, Zurich — Based on breaking news and events, it appears that CIA Headquarters beneath Lake Geneva is plotting a 9/11-style bio-attack and/or ISIS-related attack on the Star Wars film entitled “The Force Awakens” which premieres in Paris on December 16, 2015. 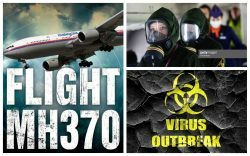 In all likelihood, the CIA will attempt to execute a 9/11-style attack via Malaysian Airlines Flight MH370 which was specifically hijacked by CIA on March 8, 2014, in order to execute a surprise WMD attack. Said attack will likely spawn the biological pandemic planned for 2015. Roughly a week later on December 1, 2015, it was reported that police and family members were searching for a missing Hollywood producer. Considering that said producer was found hours later, it can be deduced that the incident was staged in order to show that Hollywood is under threat. Lastly, in order to associate Hollywood with plane crashes just prior to a 9/11-style attack on the premier of “The Force Awakens”, it was reported on December 6, 2015, that legendary actor Morgan Freeman’s plane crash-landed in America, blowing a tire in the process. SWITZERLAND, Zurich — Based on breaking news and events, it appears that CIA Headquarters beneath Lake Geneva is plotting a 9/11-style bio-attack, domestic, and/or ISIS-related attack during the LA premier of the new Star Wars film entitled “The Force Awakens” on December 14, 2015. In all likelihood, the CIA will attempt to execute a 9/11-style attack, possibly via Malaysian Airlines Flight MH370 which was specifically hijacked by CIA on March 8, 2014, in order to execute a surprise WMD attack. Said attack will likely spawn the biological pandemic planned for 2015. In what appears to be pre-LA Star Wars premier terror logistics, it was reported on December 11, 2015, that 4 blocks of Hollywood Blvd. have now been closed to the public which coincidentally include the Dolby Theater, the El Capitan Theater and/or the TCL Chinese Theater, one of which will house the premier. Whether the timely closure of the 3 potential venues for the premier has provided the neccsary cover for the installation of weapons and/or explosives inside on of the aformentioned theaters is not known, but it’s highly likely. Said weapons and/or explosives could be utilized on December 14, 2015, in a coordinated state-sponsored terror attack. Back on October 21, 2015, CNN published a report entitled “Internet Trolls Call New ‘Star Wars’ Movie ‘Anti-White’”, ultimately foreshadowing the notion of a race-related attack on the new Star Wars film just prior to its fruition in reality. Said attack may be bio-chemical in nature. Lastly, in order to associate Hollywood with plane crashes just prior to a 9/11-style attack on the premier of “The Force Awakens” in London, it was reported on December 6, 2015, that legendary actor Morgan Freeman’s plane crash-landed in America, blowing a tire in the process. Aside from the Georgia militia members (that double as government employees) which are currently on trial for an anti-government bio-terror plot, breaking news suggests that the CIA is plotting a so-called domestic terrorist bio-chemical attack. In order to foreshadow this type of attack on U.S. soil, it was reported on June 8, 2015, that a fire at a Pennsylvania chemical plant sent smoke billowing in sky. Four days later on June 12, 2015, it was reported that aMassachusetts man killed himself with chemical gas, sending 11 other to the hospital. Roughly 6-weeks later on July 29, 2015, it was reported that a Breaking Bad fan was convicted of a Dark Web ricin plot. 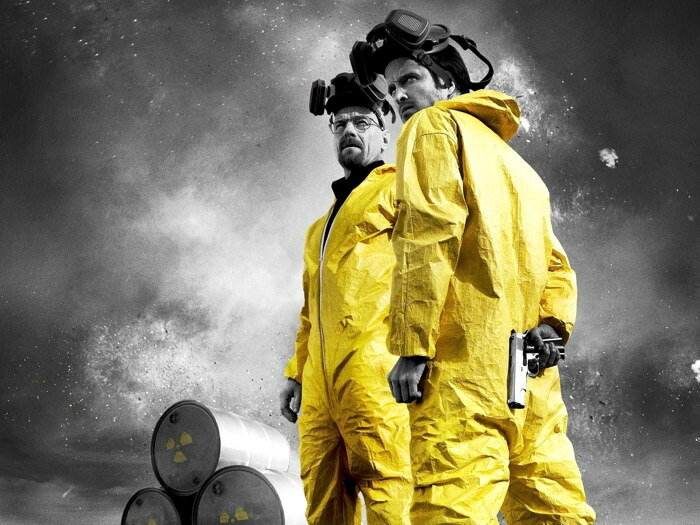 It is imperative to note that the popular TV show entitled “Breaking Bad” (2008) was state-of-the-art domestic bio-terror attack propaganda. Aside from depicting murders via bio-chemical pathogens such as Ricin, the show mixed in a number of aviation-related disasters which were designed to foreshadow a 9/11-style bio-chemical terror attack by domestic terrorists. In order program the American public for a bio-chemical-related explosion, it was reported on August 4, 2015, that a fuel tank exploded at an Ohio gas station. That same day, August 4, 2015, a large explosion rocked a Missouri aluminum plant. Also on August 4, 2015, it was reported that 2 men were arrested after a meth lab was found inside a Taco Bell in Iowa. The timely report was designed to invoke Breaking Bad just prior to a state-sponsored domestic terror attack on a bio lab in America. Lastly, on August 23, 2015, it was reported that a guard pleaded guilty to blowing up a hi-tech US government laboratory while cooking meth. The Breaking Bad plot was fabricated or staged by the CIA in order to set the precedent for a domestic attack on a laboratory of the U.S. government, most likely the CDC. Needless to say, these reports, taken collectively, confirm that a state-sponsored terror attack involving a bio-chemical agent is imminent. As depicted in the Bio-Terror Bible, a state-sponsored bio-terror attack will likely involve the agents known as Anthrax(Bacillus anthracis) and/or Smallpox (Variola major) which will be released into a controlled environment during a false-flag terror attack. 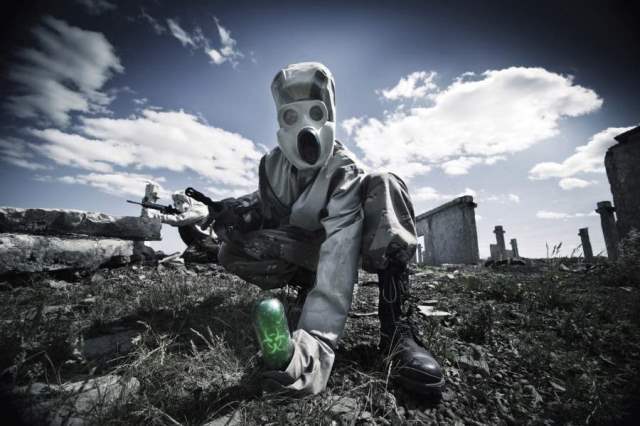 That being said, it now appears that the Novichok Agent, “the most deadly nerve agents ever made”, will be the actual pathogen dispersed in the attack. In other words, Novichok will be released but the media will blame Anthrax or Smallpox. This would be done in part because both Anthrax and Smallpox need direct and sustained contact with a potential host before they become infected or die, whereas Novichok (although not contagious) is “five to eight times more potent than VX”. 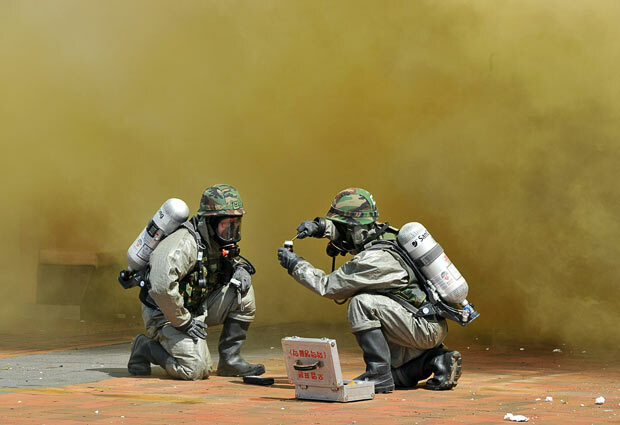 Novichok, which belong to the “fourth generation chemical weapons“, can be “dispersed in an ultra-fine powder instead of a gas or a vapor”, making it the perfect bio-chemical cover for an alleged Anthrax or Smallpox attack. After being infected, Novichok increases neuromuscular junctions, causing involuntary contractions of all muscles. This subsequently leads to respiratory and cardiac arrest and finally death. Once photos and video of people squirming and convulsing on the ground hits social media, a majority of the public will stand in line for a vaccine that will predictably be laced with Anthrax, causing a majority of those vaccinated to perish.